Gerard stumbled his way through his opening two runs at tricky, windy and sun-splashed Phoenix Snow Park. It hardly mattered. He found the line and the rhythm he was missing his third time down the mountain, using some of the techniques he first learned in his backyard to navigate the series of rails at the top before soaring through the moonscape at the bottom. He didn’t just land it, he stomped it, finishing with a backside triple cork — three twists and a flip — to the delight of his father, Conrad, and the other 17 family members and friends who followed him to South Korea. Gerard exulted in the moment as he took a few minutes to chat with International Olympic Committee President Thomas Bach. Gerard, who lived in the Cleveland, Ohio, area early in his life before his family moved to Colorado when he was 7, stood at the bottom of the hill to see if anyone in the rest of the field could catch him. They couldn’t. Not this time. 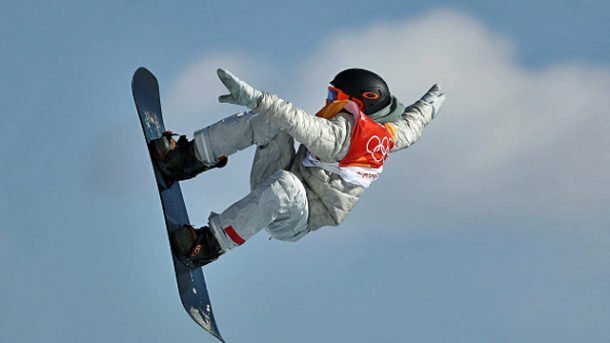 McMorris, a bronze medalist when slopestyle made its Olympic debut in Sochi four years ago, put up an 85.20 during his second run but under-rotated during the last jump of his final landing. Norwegians Staale Sandbech and Markus Kleveland slipped up during their last shots, too, leaving only Parrot in Gerard’s way. McMorris’ second bronze medal came less than 12 months removed from a harrowing free-riding accident that left him with a litany of injuries and threatened to put his career at risk. Gerard, Parrot and McMorris will have a chance to win another medal when Big Air makes its first Olympics appearance later in the games. That’s heady territory for Gerard, a kid who grew up not aiming for Olympic glory but just a chance to shred.